Utah-based startup Nikola Powersports has just unveiled the specs for the Nikola Zero — its all-electric, four-seater UTV — and it’s an absolute beast. The UTV stands for Utility Task Vehicle, especially if the task is ripping up the off-road landscape and pumping you full of adrenaline. If you needed further proof that electric power doesn’t mean less power, then this baby is the reason you can stop looking. It boasts an insane level of both horsepower and torque. The top end model produces a whopping 555 horsepower and 4,900 foot-pounds of torque. Among other things, this means that it can go from 0-60mph in less than four seconds. 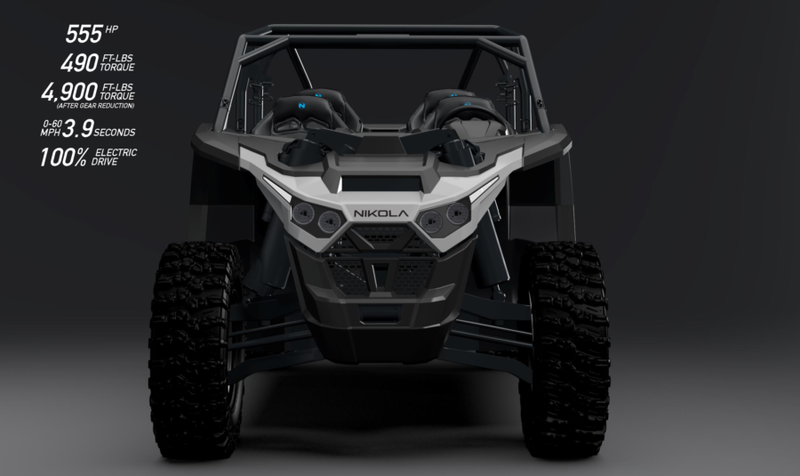 The Nikola Zero has an electric motor at each wheel, which not only increases efficiencies and delivers instant responses, but also totally eliminates the need for any belts in the vehicle. No belts means no belt failures, and all round better performance. This huge amount of torque will enable you to take a corner and accelerate out of it at high speed, with claims that you can do so at two to three times the speed of any other UTV available. The absence of a gasoline-powered engine also means the Nikola Zero has a lower center of gravity, due to the fact you don’t need to put the engine above the frame rail. And you know what a lower center of gravity is better for? Cornering. If all this talk of high speed cornering, traversing over rocks and blazing through sand dunes appeals to you, then you can expect to fork out upwards of $35,000 for the pleasure. There will be three different options on battery packs available — 75kWh, 100kWh, and 125kWh — with the 125kWh pack capable of taking you on a journey of up to 200km, and the other battery packs delivering a range of more than 100km. You can reserve one of the vehicles now via the Nikola Powersports website, with delivery expected in January 2018. 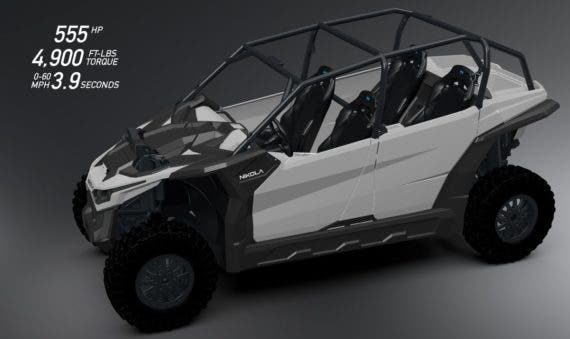 The UTV also comes with everything you need to make it street legal, so you’ll be able to rip up both onroad and off-road if that’s what your heart desires.